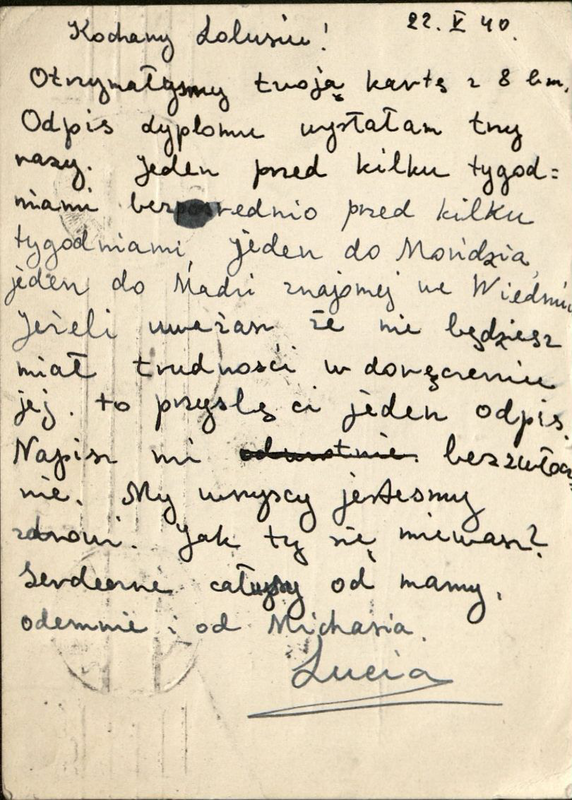 A card from Lucia Solowiejczyk to Leo. I got your card from 8th of this month. A copy of the diploma I’ve sent three times (trzy razy). One a few weeks ago directly a few weeks ago, one to Mondzi, one to Madzi’s friend in Vienna. If you think that you wouldn’t have difficulties forwarding the diploma, I’ll send you a copy. Write to me (Napisz mi). We are healthy. How are you ? Heartfelt kisses from Mom, myself and Michaś. Lucia was married to David Lewin before the war, so in 1940 she would have been Solowiejczyk Lewin. They had a son, Michael. When the war was imminent and everyone believed the men were in most danger, Maniek and David fled (on Maniek’s motorcycle) and went east, away from the advancing German army. Lucia, Gitla (Lucia’s mother) and Michael tragically were transported to the Warsaw Ghetto. Their fate was never determined. 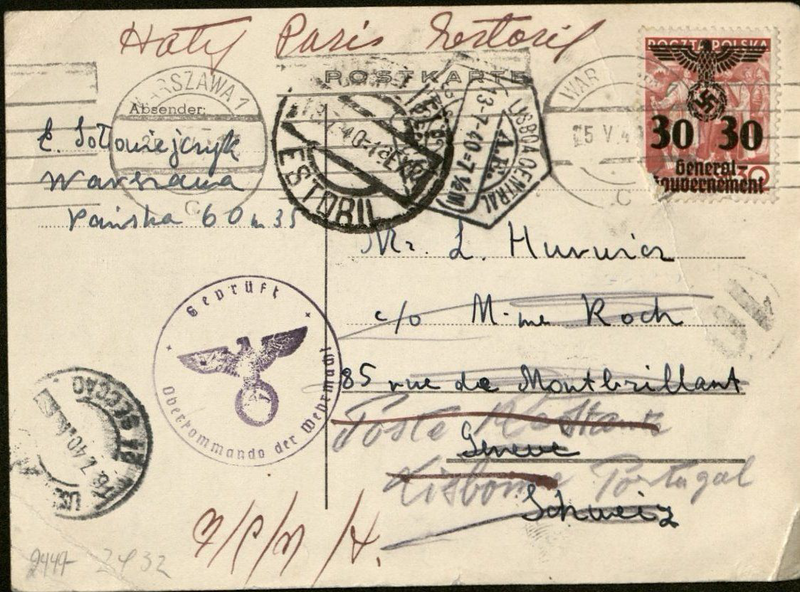 The family in New York and Chicago tried to obtain travel papers for them, but without success. David Lewin survived the war. Although he remarried and had a family in Denmark, he never recovered from the loss of his young wife and child and died tragically himself in the 1960’s. His second family, now in Israel, recently had a new addition to the family, who they named Michael after the son their father lost. David’s nickname was “Dudek.” He is mentioned in this letter from Adek Kotzin to Leo.